Who says you have to stay on the "strip" to get the most out of your time in Las Vegas? 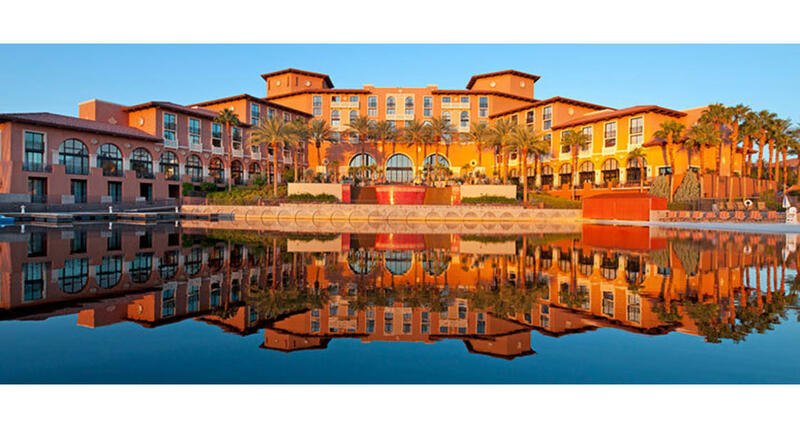 Located only 20 minutes from where the action is, The Westin Lake Las Vegas Resort & Spa gives you the best of both worlds - convenient access to Las Vegas casinos and premier live shows (via complimentary shuttle) and a serene setting to retreat to as the night winds down. Enjoy a relaxing evening along the shores of Lake Las Vegas under the clear Southern Nevada skies. Savor award-winning cuisine at one of three fantastic dining spots including Marssa Steak & Sushi, the Mediterranean inspired Rick's Cafe, and SandsaBar & Grill. Looking to rejuvenate and be pampered? Enter a world of tranquility and rejuvenation at the Moroccan inspired sanctuary of G Aveda Spa Lago. Luxuriate your entire body with a fragrant oil massage. Awaken tired hands and feet with a blissful paraffin treatment, or shine new light on your complexion with their radiant facials. Choose your preferred treatments and let their professionally trained therapists guide you on a pathway of renewal. Restrictions: Non-Refundable $35 Pet Cleaning fee charged per stay.